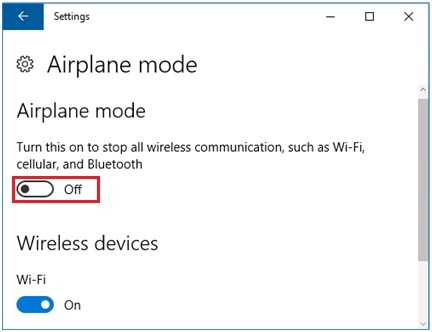 Turning on airplane mode is simple in Windows 10 and there are several ways to do it. 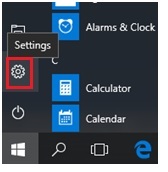 This is a useful feature in Windows 10 that allows you to turn on or off all wireless connections (wireless adapter, bluetooth, mobile broadband, etc) on your Windows 10 devices (laptop, tablet, mobile phone, etc) quickly with just one click. 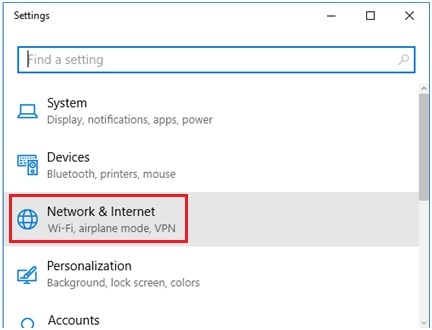 This is especially useful if you need to use your Windows 10 device on the plane or other location that don’t allow wireless communication. 1) On your desktop screen, go to your right hand corner taskbar in your desktop environment and click on the network icon (looks like a signal icon). This is also the icon typically you will click in order to connect to wireless network. 2) After that just go ahead to click on Airplane mode to enable it. To turn off this airplane mode you just need to click on it again. 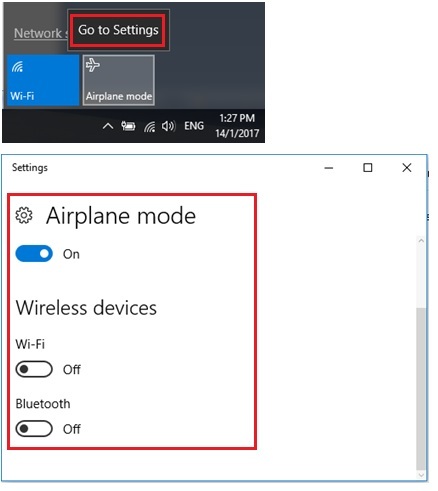 Note: If you right click the Airplane mode you will be able to click on Go to Settings in order to further manipulate the airplane mode settings as shown below. 1) Go to Start and click on Settings. 2) Once the Settings window appears, proceed to click Network & Internet. 3) Continue to click on Airplane mode. 4) Here you then able to turn on or off the airplane mode. In case if you face problem about connecting to wireless network, take a look on this wireless network troubleshooting article, think should be able to give you more ideas on solving the problem. 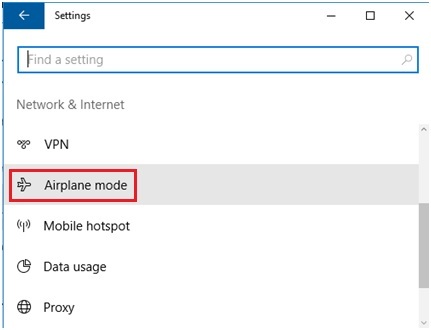 Return to top of "Turning On Airplane Mode in Windows 10"! !